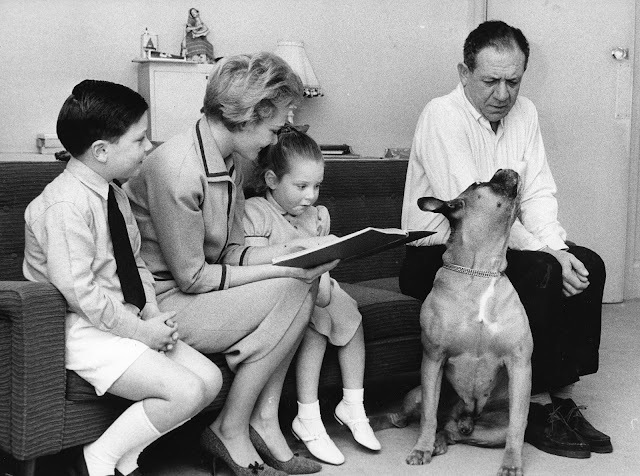 The second part in the Sid's Place series which takes a closer look at each of Sid James' Carry On roles. This edition concentrates on his second Carry On appearance, odd-job agency owner Bert Handy in Carry On Regardless. 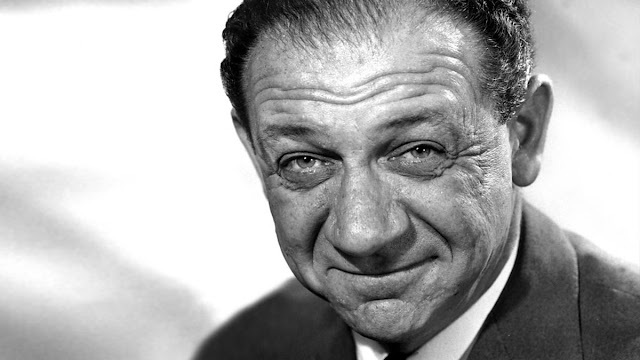 After slotting into the team so effortlessly in Carry On Constable, it was really no surprise at all when Sid James was offered a leading role in the next film off the Carry On production line, Carry On Regardless, released in 1961. 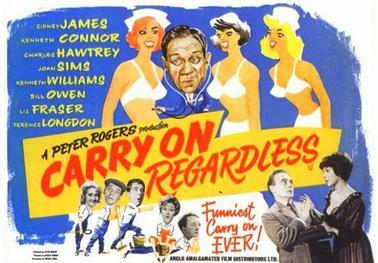 From a casting point of view, the pre-production phase of Carry On Regardless underwent its fair share of troubles. Charles Hawtrey, by this time firmly established as a leading light in the world of Carry On, was filming the television comedy Our House at the time; his agent informing producer Peter Rogers that Hawtrey may be unavailable on certain shooting dates for Regardless. Meanwhile Hattie Jacques, who had been contracted for a major role in the film, became ill during production. This resulted in the hugely popular star only being available for a single day, necessitating her taking on the cameo role of a hospital sister. Hattie's intended role of Delia King was rewritten for the debuting Liz Fraser. The various changes forced upon the production team meant extra work for Sid. He was contracted for an extra week, filming his part over four weeks instead of the intended three. This was no problem for Sid, who was always happy to work when he was available. Although the wages paid to the actors involved in the Carry On series were famously meagre, Sid's fee for Regardless was favourable in comparison to the rest of the cast. 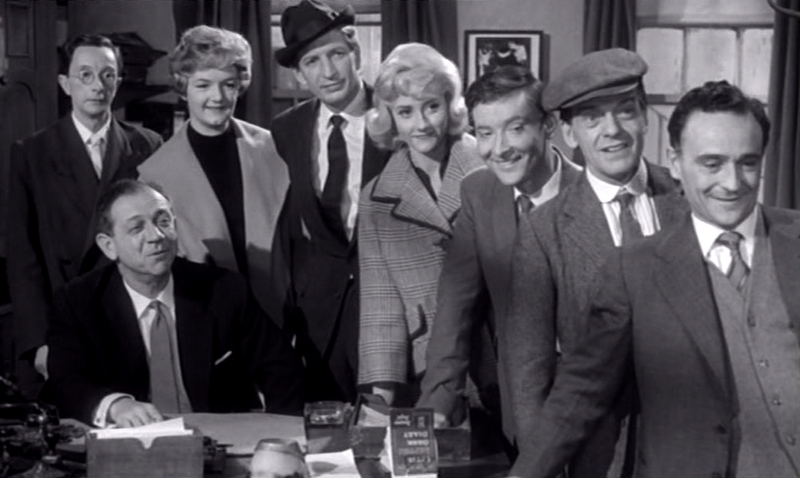 Scriptwriter Norman Hudis, who penned the first six in the series, often stated that Carry On Regardless was his least favourite. It is certainly true that the film, rather than following a straight narrative, is instead a collection of sketches loosely connected to the day to day workings of the Helping Hands agency. As with his role in Carry On Constable, Sid is the pillar of authority here, looking on with faint bemusement as chaos reigns supreme around him. However, there are moments when the Sid we would come to know and adore, begins to emerge. 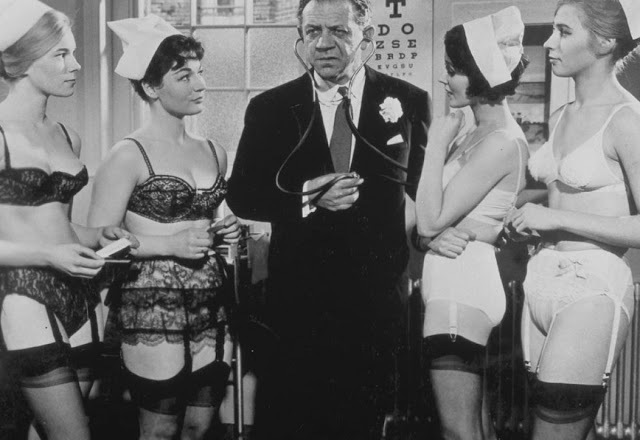 The scene where our man, mistaken for a visiting hospital dignitary, happily carries out full medicals on a group of scantily clad nurses is pure joy, as is his running battle with Stanley Unwin's incomprehensible landlord. On being told by the translating Kenneth Williams that Unwin "gobbledy-gooks", an indignant Sid replies with one of my all-time favourite Carry On lines, "I don't care what he eats!"